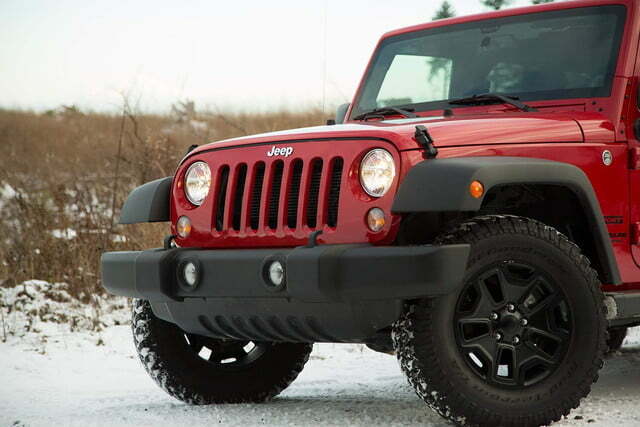 For off-roading enthusiasts, there is no other car in showrooms that can beat the Wrangler. As daily driver, family wagon, though, it leaves much to be desired – especially for the price. 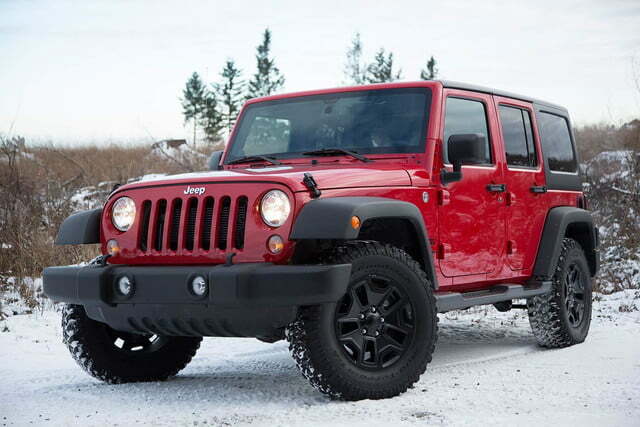 Update 11-19-14: This review originally covered the 2014 model year of the Jeep Wrangler Unlimited. 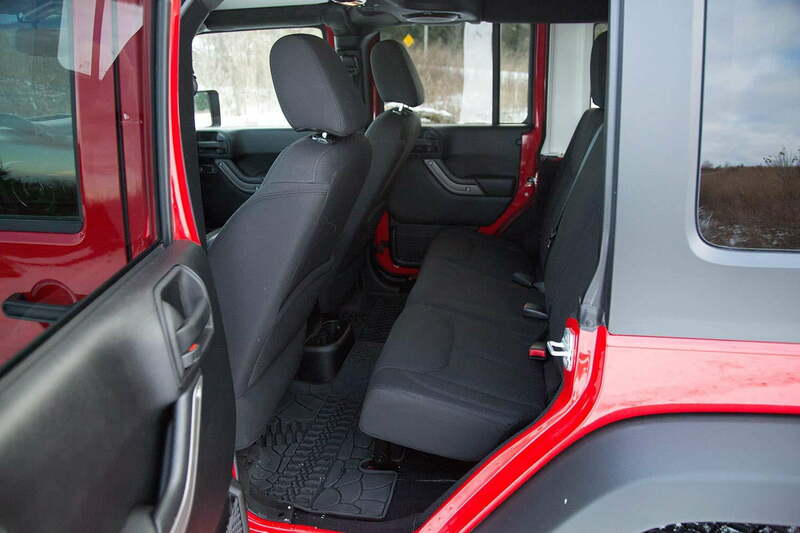 The 2015 Jeep Wrangler Unlimited is in showrooms now. No substantial changes were made to the body or design of the car, but the latest model showcases a few interior updates and additional package offerings. All changes are listed below. The Jeep Wrangler is one of those iconic American cars, on par with the Mustang and the Corvette, that anyone on the planet can look at and immediately recognize and appreciate. 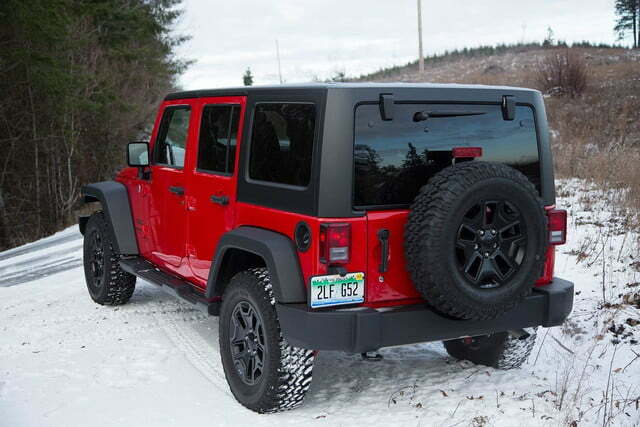 There’s no debating that the Wrangler is one of the best out-of-the-box off-roaders at any price. The Wrangler’s lineage stretches back into World War II as an unbeatable 4×4 runabout. And, while the world has changed greatly since the 1940s, the Wrangler has carried the prestige of its predecessors. It marries newfangled high-tech electronics with old-world mechanical machismo. 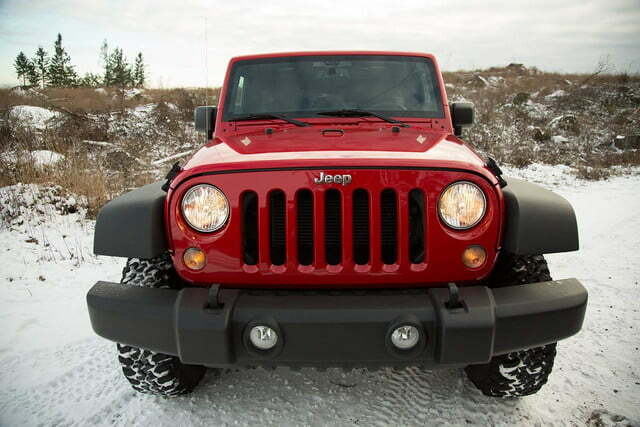 There’s no debating that the Wrangler is one of the best out-of-the-box off-roaders at any price. What if you’re buying a Wrangler not as a weekend toy but as a daily driver you also take out on to the trails? What’s it like then? It’s a very strange beast indeed. 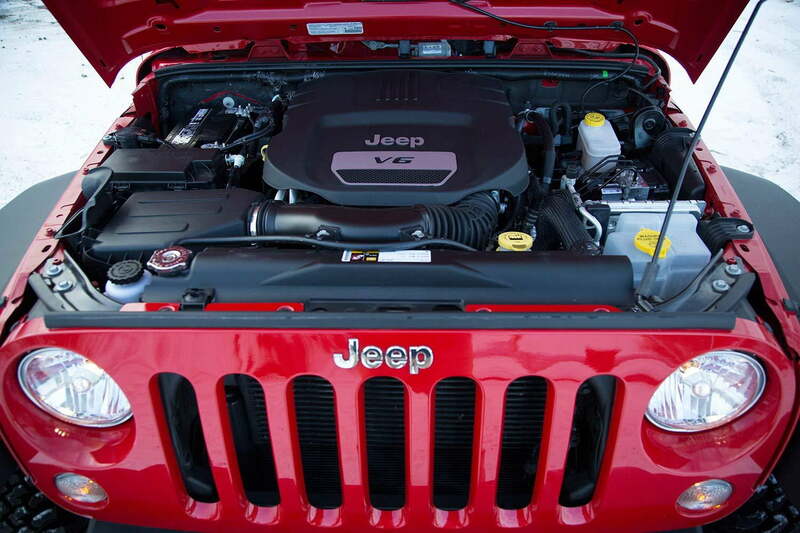 A few years ago, Jeep re-worked the Wrangler a bit and bolted the Chrysler family’s 285-horsepower, 3.6-liter Pentastar V6 under the hood and upgraded from a four-speed automatic to a five-speed. This made the Wrangler much more powerful, livable, and it was also supposed to make it more fuel efficient. 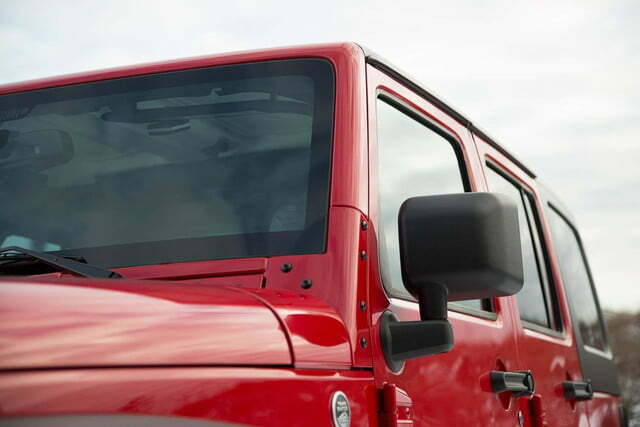 The EPA rates the Wrangler Unlimited at 16 mpg city, 20 highway, with a combined score of 18 mpg. During my time with it, I averaged 15 mpg. I drove it in 2×4 most of the time and in mixed city and highway driving. 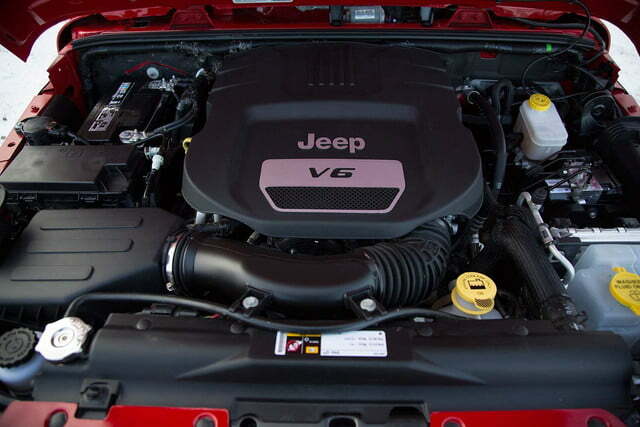 In cars like the Chrysler 300, the Pentastar V6 is an impressive powerhouse. 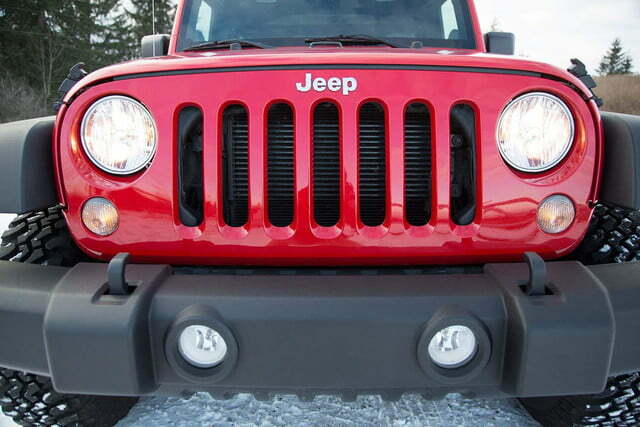 Under the skin of the Wrangler, it’s not quite as awe-inspiring. But I’ll admit it’s a sight better than the minivan motor that used to power the Wrangler. Over all, it’s a win. The biggest improvement lies with the five-speed automatic. 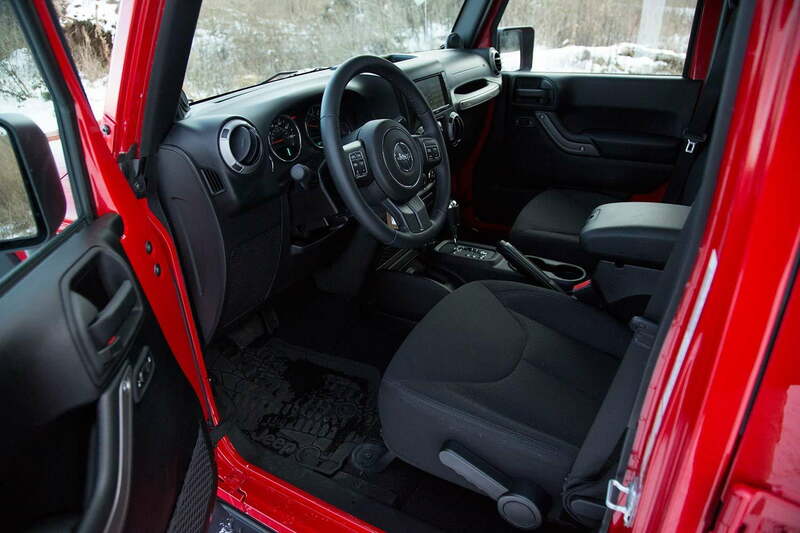 I wish Jeep had bolted up its eight-speed auto to the Wrangler. I suspect that – and a diesel powerplant – will be offered in the next-gen. I am a big fan of both boxy cars and 4×4 off-roaders. So the Wrangler fires on several cylinders for me. I think – in its four-door ‘Unlimited’ form – it’s one of the best-looking SUV truck 4×4 thingies on the market. Only the Mercedes G-Class comes close. Step inside, though, and my admiration dwindles a bit. Spend much more than a few minutes in a pre mid-2000s Jeep and you, too, would be ready to be sent home to Jesus. Jeep interiors, like the rest of the Chrysler family, used to be absolutely dreary. Draped in thin, crappy grey plastic, Jeep interiors left occupants with the feeling of being in a death-row holding cell. Spend much more than a few minutes in a pre mid-2000s Jeep and you, too, would be ready to be sent home to Jesus. Since Chrysler went belly up, got bailed out, and was purchased by Italian auto giant Fiat, Jeep interiors have improved exponentially. The Jeep Grand Cherokee, for example, is a wondrous place to be, with natural wood and leather throughout. 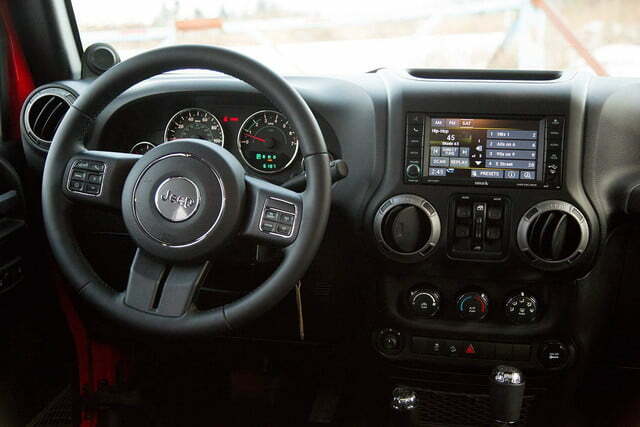 The interior reimagining has trickled down to the Wrangler too. 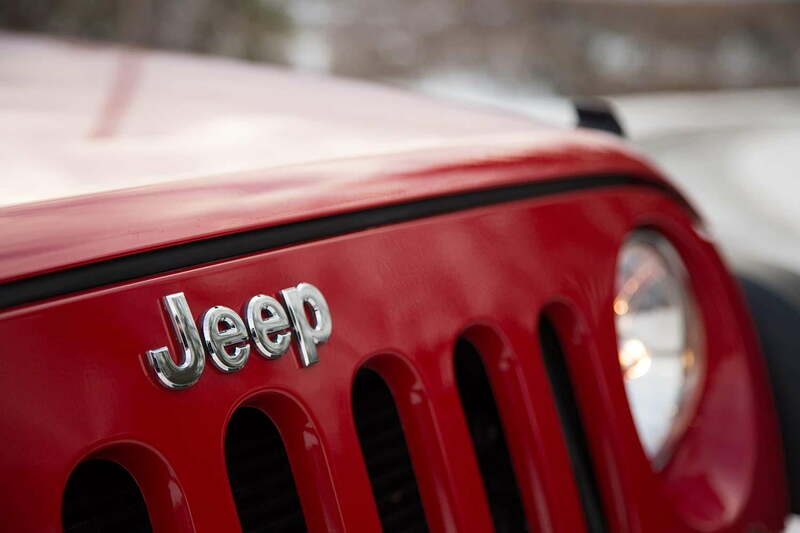 Unlike the Grand Cherokee, Jeep has left the Wrangler much more utilitarian. The dash looks better and the bits fit together much better than they did in every previous generation. But, unlike the Grand Cherokee, things still feel cheap. The instrumentation is still done in the classic American 1980s blue-green lighting. 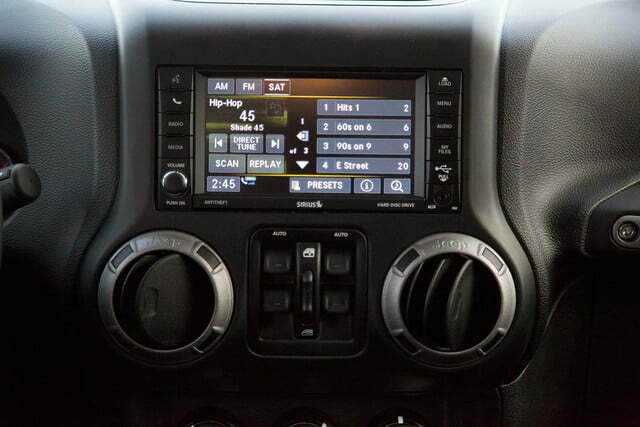 Even the Wrangler’s Uconnect, which is a huge step forward, isn’t very great. Where the Wrangler separates itself from the rest of the SUV market – aside from it’s trail-taming abilities – is with its ability to shed its doors and roof. Heck, you can still even fold the windshield down onto the hood, though I don’t know why you’d ever do that. Bugs and wind striking your face at over 20 mph hurt a lot. Despite its removable bits and low-rent interior, the Wrangler is shockingly quiet on the road. I don’t mean just quiet for a Wrangler but quiet by the entire automotive industry. I’ve been in much louder BMWs, for example. 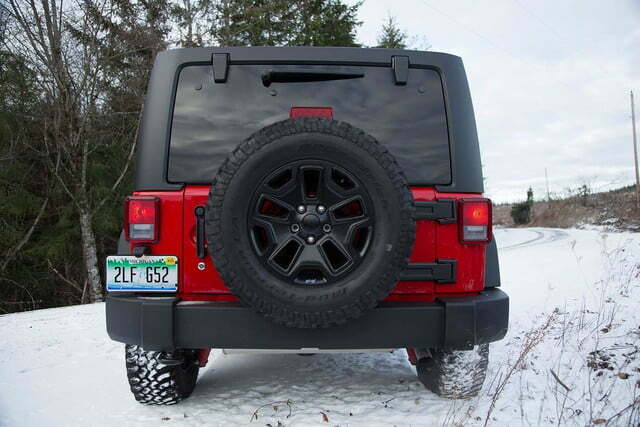 The two-door Wrangler bobs and weaves down the road, as the front and rear wheels are so close together that its big mud tires allow it to meander. Having the Unlimited four-door model evens that out a bit, pulling the front away from the rear by a few inches. It doesn’t by any means solve the problem, though. 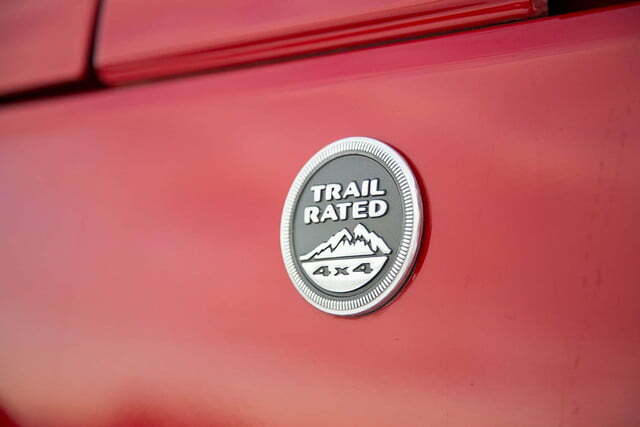 Since the Wrangler is built for extreme off-roading, the ride quality is shockingly good. It suffers body roll a bit in the corners, but not as bad as you might think, especially given the lack of refinement of the entire package. Hit a bump, though, and the big tires and skillful suspension soak it up with ease. It is a remarkably comfortable ride … in a straight line. If you can get it into one. I took my best friend Peter around in the Wrangler and, while we had fun, Peter concluded that the Wrangler was unacceptably cheap. “How much does this thing cost?” He asked. “That’s way too much.” He chuckled. “Yes but this Unlimited Sport starts at $26,195.” I replied. “Aside from a few small things, mostly it’s the automatic transmission and the black wheel package.” I said, studying the window sticker. Peter was on to something, something I had overlooked while feeling extremely masculine as I cruised around town in a bright red 4×4: The Wrangler is actually a very bad car by 2014 standards, especially for the money. I had been caught up in its bossy looks, its quiet interior, smooth ride, and its ability to – at a moment’s notice – shed its skin and head for the hills. Granted, I didn’t partake in any of that 4×4, door-less adventuring. In my mind, though, knowing I could was all I needed to get romantic and wistful behind the wheel of the Wrangler. Shocked back to reality, I, too, was a bit horrified with the thing. That doesn’t mean it’s a wash. 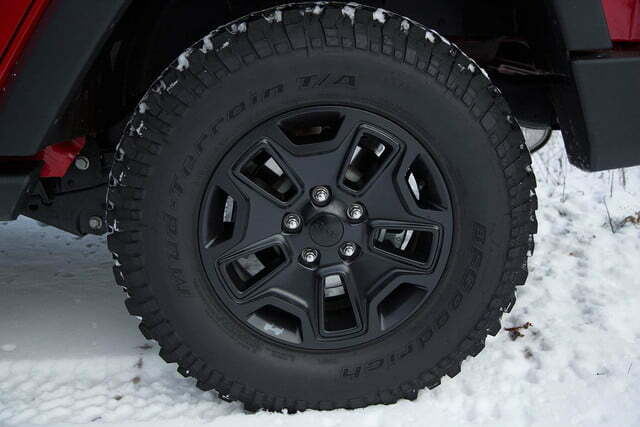 I still recommend the Wrangler for those who want a showroom fresh 4×4. You honestly can’t beat it for the money. If you’re going to get one, though, get the most basic model you can. The few upgrades Jeep offers are wildly overpriced and don’t add to refinement or safety whatsoever. So I say skip them. Get the $27,000 Unlimited and pretend that every day is a safari. Otherwise, you might as well spend an extra $2,000 and get a Mercedes CLA. You know, a car your friends and family won’t be embarrassed to be seen in with more than a modicum of safety and refinement.